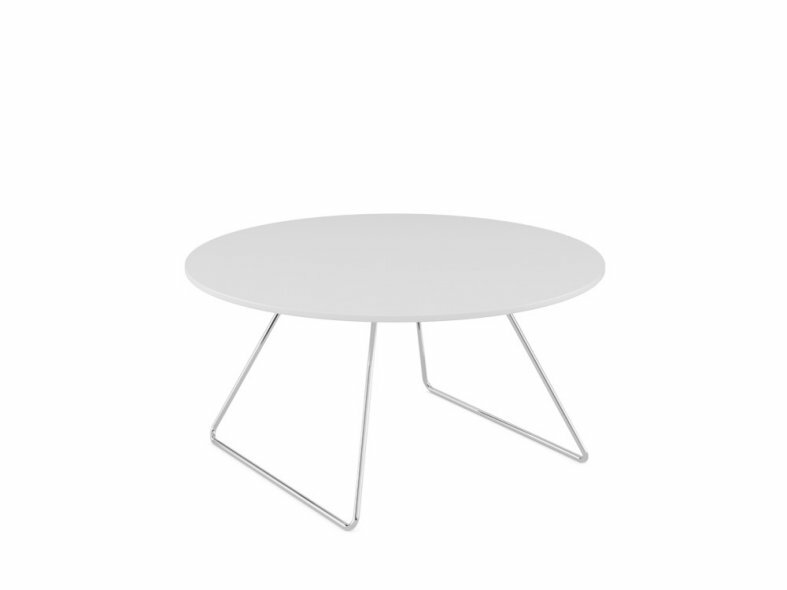 Line is the ideal accompaniment to several collections within the komac portfolio. Standing on a polished 12mm diameter steel sled base, Line is ideally suited to informal reception, atrium or breakout spaces. 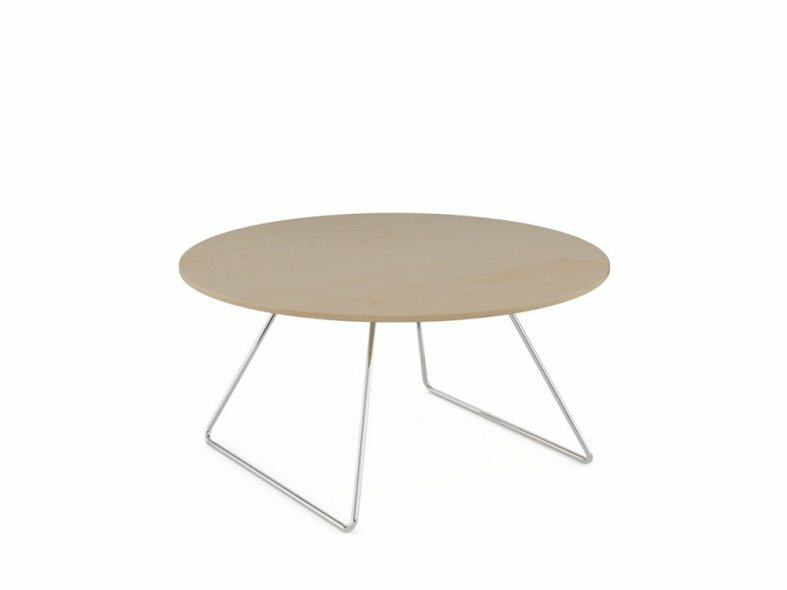 The 800mm circular table top is available in white or beech MFC.